Mr. A and I bought the March issue of Country Home magazine because of this photo. It's a vignette in the home of Kolene Spicher, photo by Max Kim Bee. 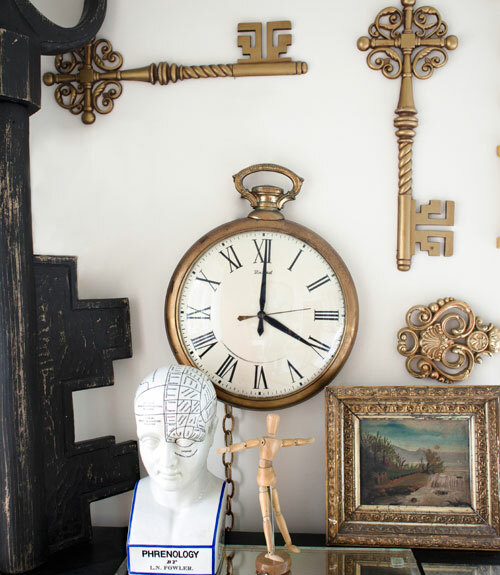 She's an artist, and her home is lovely - filled with interesting collections. I like her folky art, too. In this shot, K and I loved the giant keys and the wackiness of the grouping in general. My only beef is that I'd like to be able to see more of that large dark key on the left. 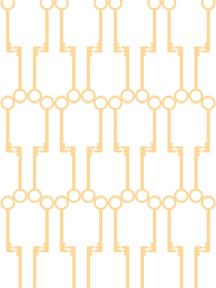 I find skeleton keys to be a motif filled with possibilities. They have the history angle, interesting shapes, lots of mystery about what they might open, plus all of the extra meaning, like the key to one's heart or the key to one's future or first home. 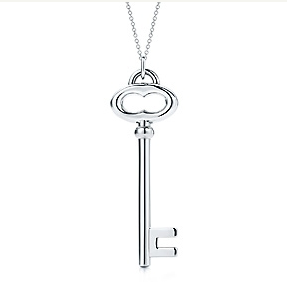 I'm guessing that's why the Tiffany Key collection has been such a runaway success - the perfect gift for so many occasions. I have this sterling silver Vintage Oval key. It has become a signature piece of jewelry for me. I wear it often and just as often find myself clutching it in contemplation, running it back and forth along the chain to make that zip zip noise. Trend motifs come and go, but I think this one will stick with me. Here are a few key items I like. 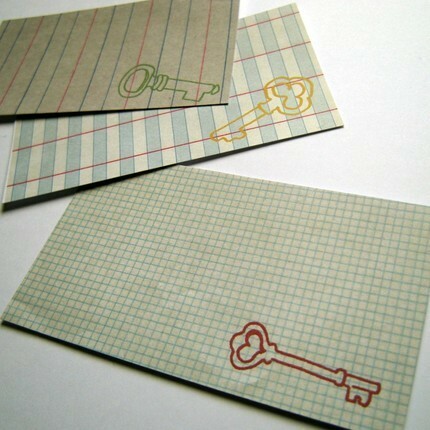 Paper Keys mini note set by Bread of Many from Felt & Wire Shop. 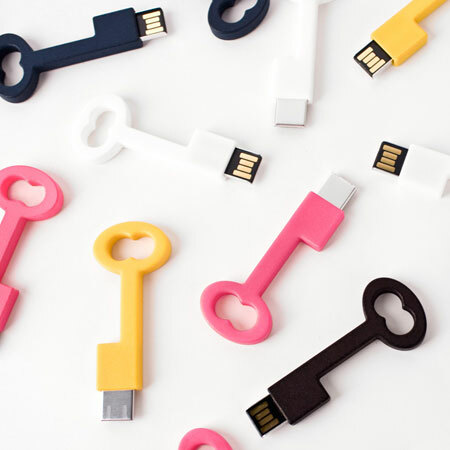 set of 5 porcelain keys. interesting. From The Curiosity Shoppe. And lastly, is it too greedy for me to wish for just one more? (I think it is.) 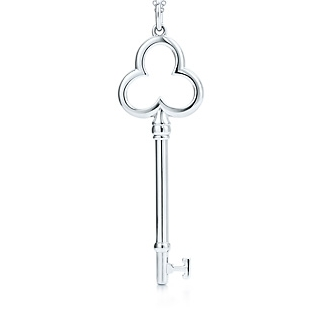 Trefoil key, Tiffany & Co. So, this is very cool wallpaper. 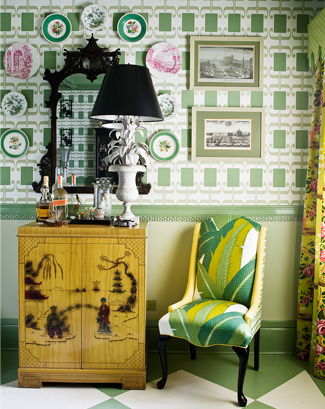 You may recognize the wallpaper as being from the Studio Printworks collection. To me it looks kinda like exaggerated punctuation. I've actually posted this pic before - it's by John Loecke, a charming design pro that I met last summer at an ebay event in Mahattan. Daring, I say - quite daring. Daring is good! A little digging has revealed that this paper was designed by Given Campbell. And the latest Given Campbell collection is right up my alley. It's called the Divine collection. Inspiration was clearly heaven-sent since the patterns are all named for saints. St. Francis de Sales, patron saint of writersAnd why is saintly wallpaper up my alley, you may wonder? It's because I'm Catholic. I find the stories of lives of the saints fascinating. When I was little I used to love reading the stories -- drama, adventure, tragedy, devotion, sacrifice, miracles! I mean really, eat your heart out JK Rowling! I attended Catholic schools for my education: St. Anne's, St. Teresa's, St. Peter's High School, St. Michael's College at the University of Toronto. My dad was CEO of St. Joseph's Hospital for about 20 years. Did you know St. Joseph is the patron saint of Canada? That's why there are so many companies here named for St. Joseph -- most would have been started by immigrant Catholics. Two other very helpful saints are St. Anthony and St. Jude. Whenever I lost something and bugged Mom to help find it she would say "Say a prayer to St. Anthony and St. Jude." Anthony is the patron saint of lost items, St. Jude is for lost causes. Given Campbell's graphic modern collection has renewed my interest in the lives of the saints. If you'd like to find out more about your name saint, check out the searchable database at catholic.org. Here are a couple of interesting ones: Martha is the patron saint of housewives and cooks (seriously, for reals!). And if you'd like an explanation of the whole St. Joseph ritual for selling your house, click over to Ask Sister Mary Martha -- a very amusing blog!